The word “Invention” is a familiar word associated with the human’s ability to create something from their great imagination. Did you know that every second something is being invented throughout the world? Today, more humans spend maximum time doing research which results in different types of inventions being developed on a daily basis. Amongst all inventions, it’s the nerdy and funny inventions that attract people the most. Here, we’ll highlight 5 nerdy & funny inventions. Bored of sleeping on a traditional pillow? Want some change? An awesome invention by a Japanese has provided an alternative solution. It’s called a girlfriend’s lap-pillow. It is a pillow imitating a woman’s legs. It’s made from urethane foam and shaped like the bottom half of a kneeling woman. It feels just as comfortable as the traditional pillow. Basically, it seems to be designed for the unmarried or single person lying alone in bed. Out of all the household duties, cleaning the floor is a very painful job to do. Basically, those families that have little, cute and naughty babies face this dust and dirty problem every minute they crawl or sit on the floor. Want to get rid of it? You can dress up your baby with the baby mop-duster and put them on the floor. The baby mop will help to clean the dust and dirt on the floor. Need some space in your sweet home? Want to decorate your home with some unique embedded ways to store your shoes? Then see this awesome invention. Basically, shoe boxes on their own look boring and just clutter up space in the house. Get rid of them by using these tools. The funniest thing is that on first sight no one will recognize it as pull out shoe drawer. They can be embedded in your stairs with a smooth finishing. It will seem like a simple stair. Have a fear of robbers and thieves? Here is a unique invention to save your valuables such as money amongst other things. An electric switch board will be used as a locker with a key lock. Sizing depends on your requirements. It’s very tough to recognize this locker by anyone. So it is a safe locker for everyone. Now here’s an innovative invention – a fan powered bicycle. One doesn’t have to ride it by foot as it is ridden by the power of the fan attached behind the cycle. Two large, heavy (50 lbs each) batteries were mounted on the cycle to power a 1 horsepower electric motor scavenged from an old air compressor. It has the opportunity to be ridden by foot too. Though I have highlighted some examples of inventions that are useful for our daily life, there are many other useful inventions being created everyday as a result of the human’s imagination. For further details and updates on the latest inventions, do stay with us and watch this space! During the winter season, there is a decrease of humidity in the atmosphere which causes the skin on our bodies to become dry and rough. This why we need to take care of our skin during the winter season. 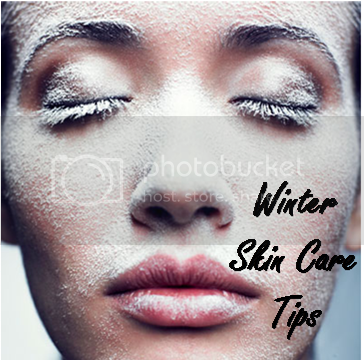 Now I will give you some skin care tips about how you can protect your skin during the winter season. Start using a creamy facial cleanser. Avoid shower gels in the winter, as they can be drying to your skin. A body wash or bar that contains shea butter or jojoba oil will help to hydrate and nourish your skin while you are in the shower. Moisturize your skin frequently. You have to find an “ointment” moisturizer that’s oil-based rather than water-based as the oil will create a protective layer on the skin that retains more moisture than a cream or lotion that we generally use . We all get more dehydrated in the winter, that’s why it’s important to drink more water. This is a very simple, but beneficial tip for people wanting to maintain healthy skin. While hot water showers feel nice in winter, they do wreak havoc on dry skin so try a lukewarm shower instead and then pat your skin dry with a towel. Avoid skin products and hair-styling products that have a high alcoholic content. When alcohol evaporates it feels so cool and refreshing but it also strips away moisture so opt for alcohol-free products, when the air is already dry in winter . Avoid wearing wet gloves and socks as it can irritate your skin and cause itching, cracked skin, sores, or even a flare-up of eczema. The biggest problem during winter are chapped lips so use a lip balm that has at least SPF+ 15 and preferably one with antiseptic agents to aid in healing. Some lip balm products are made with tea tree oil which is helpful in healing painful cracks. Harvard University is no doubt one of the best universities of the World. We can easily assume that the students who are lucky enough to be admitted there are amongst the best calibre of academic students there are. Harvard Medical University researchers have done studies to show how their students’ are able to succeed academically by using fast memory tricks to succeed at Harvard. Below are a few pointers that the majority of Harvard students used to ensure they had great memory. Keep information and items you need all the time—keys, wallet, mobile, lists of birthdays and appointments—in designated spots. This minimises distractions, conserves mental energy and helps you concentrate on absorbing new information. Believe you’re in control of your memory function, and it’s more likely you will be, say the Harvard Medical School researchers. If you believe in negative stereotypes about ageing and bad memory, then you’re actually contributing to your own bad memory function. Make regular contact with positive older role models, and try new activities that spark your memory brain function such as learning another language, taking up dance classes or engaging in mental exercises. Repetition is one of the most powerful learning tools, but it works even better when you time it properly. Rather than quickly repeating something over and over, review important facts at intervals: one hour later, a few hours later, then a day later. ‘Spaced rehearsal’ improves recall, say researchers. Give the name of a child with Facebook. In Egypt, a young man gave Facebook to his first daughter’s name. Jamal Ibrahim who later gave to his daughter’s name with the name Facebook Jamal Ibrahim. The reason is because facebook is rising up in Egypt, because during the overthrow of President Hosni Mubarak has been credited with mobilizing mass demonstrations before large scale in Tahrir Square. Facebook friend Photos in body tattooing. A Dutch woman might really appreciate the friendship in the virtual world, so she allowing herself to get a tattoo in almost all parts of the arm with 152 photos profile of her facebook friends. The unnamed woman is get a tattoo in Rotterdam by a local tattoo artist named Xaviera Dehvyathe Moelker. 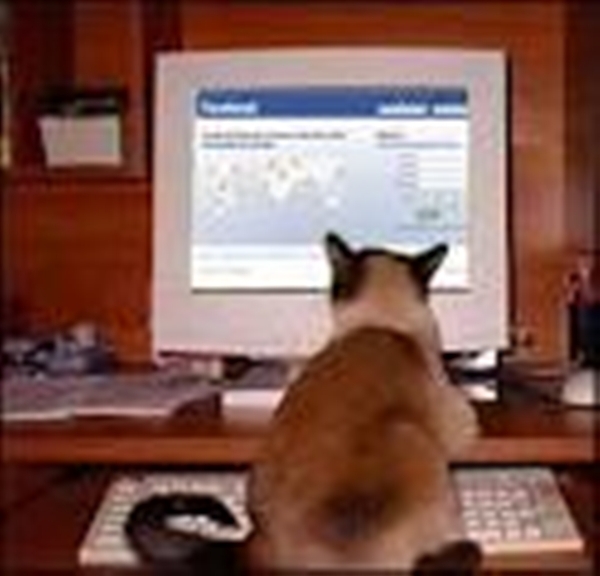 England lose billions of pounds because of Facebook. UK Networks employment , MyJobGroup.co.uk polled 1,000 workers Britain and found that nearly six percent or 2 million of 34 million workers in the country spent more than an hour per day on social networks when they are at work . And as a result of loss of working hours on Facebook, Twitter and other social media networks can potentially make England suffer losses up to 14 billion pounds (22.16 billion U.S. dollars). France banned the word Facebook on tv and radio. The French government made ​​the controversy by banning the mention of the word ‘Facebook’ and ‘Twitter’ pronounced on television or radio. France agreed with the decision stating that commercial companies should not be promoted on the news program. As a result broadcast on television and in radio since it is not allowed to refer to the popular social networking sites and microblogging phenomenon, unless it is an important and relevant to the news. 700 million population of facebook. A joke stated that the current number of Facebook’s population is only beaten by China and India. According to the analysis of the number of Facebook users in a short time will soon reach 700 million users. While countries with the largest in the world of Facebook users are the United States with approximately 149 million users, followed by Indonesia, Britain, Turkey and India. We all have habits that prevent us from living the ideal or better life. 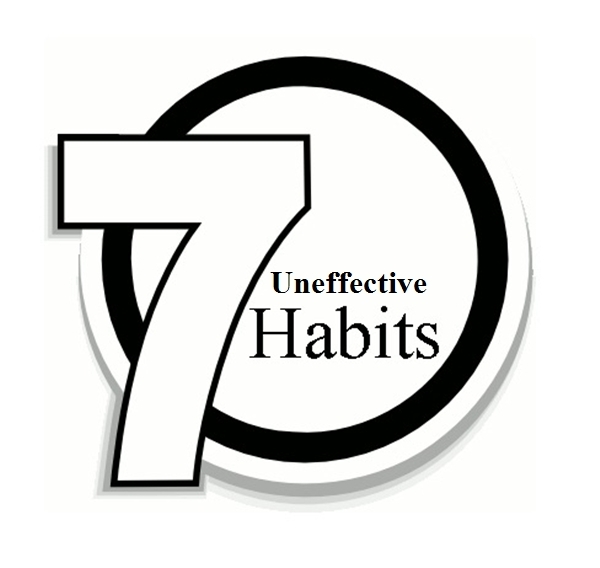 There are, however, some uneffective human habits that must simply avoid and we’re here to tell you about 7 of them. Let’s read about them one by one. There is a saying, “Eighty percent of success is how we make our self exist”. Whether it’s your social life, your career or your health – it’s important that you exist by showing up! If you want to gain more health, an important thing to do is to exist by attending a fitness center regularly. Even if the weather is very bad and it reduces your spirit to go to the gym, just get up and go. Exist! Show up at the gym. The rule of ‘existing and showing up’ affects your whole life. If you don’t exist and don’t show up anywhere, you are doomed to failure and unhappiness. If you keep writing or painting then your ability will increase rapidly. If you go out from the house more often, then you will meet many new friends. Engage yourself more in life by existing to the World and showing up! You’ll be guaranteed a life of success, fulfillment and meaning. Do the heaviest and most important jobs first thing in the morning. Activities in the morning will boost your spirit and create positive momentum all day. Usually it will create a productive day. How do you eat an elephant? Most people think by how they can eat the whole elephant in one bite. These types of thoughts when it comes to tackling any type of job can cause you to procrastinate. Divide your work in several small steps. Then just focus on completing one task at a time. When you’ve completed one task, then go on to complete another task. One of things that can get you stuck in a rut, besides procrastinating is busying yourself with tasks that are not important. You need to prioritise your tasks. In order to do an effective job of performing important tasks, you should make a 80/20 rule. Focus on achieving an 80 percent result by performing 20 percent tasks. So you should focus your energy on necessities work. Write down and sort out your important tasks for today. Start doing the tasks that have highest priority. Even if you can only complete one important task a day, it doesn’t matter; at least you have successfully completed a task that had high priority. This is very easy to do. It rarely makes you take action. You can easily waste a lot of your life thinking too much. There’s nothing wrong with the type of thinking you do before doing something practical. You don’t always have to examine things from every angle before trying it. And you do not have to wait for the right time to do something. Right times generally never come. Too much thinking can immerse you deeply into not taking any action at all. The only way to take action is to stop thinking too much. Close your mind and go do whatever you need to do. Just do it!! When you see things from a negative perspective, it already digs a deep hole in your motivational spirit. You find fault and problems everywhere and generally there is no real problem at all. Thinking negatively always will only attract negative situations to arise. Thinking positively will attract positive situations to arise. The solution is to realize the limits of your negative perspective. And that your perspective is not always a true picture of the world 100% of the time. Then try another perspective. For example, always try to form a habit of seeing things in a more positive and optimistic. Do a challenge and try to just think positive for 7 days. It can give you an insight in how your perspective and beliefs change the way you interpret and experience your world. And look at the results you are going to get. It can be difficult to view things or a situation objectively when you’re so fixed on your own thoughts, beliefs and opinions. Sometimes a good solution is open your mind wider. Learn from the mistakes of others or their own iniquities. Learn from books. Take what you’ve learnt from others and put it into practice. Very often, we allow too many negative voices and things to enter our own mind and thoughts. It’s important to be aware of those negative voices and to spend quiet time in meditation, prayer or reflection so that you are connected to your own peaceful voice. Do not let too much information enter your mind and affect it. The world is bombarded too with too much information and things like facebook, twitter, tv, radio and music can drown out our own thoughts. Focus on clearing your mind and arriving at a peaceful moment where you can just focus on the important things in your life and jobs you have to complete.